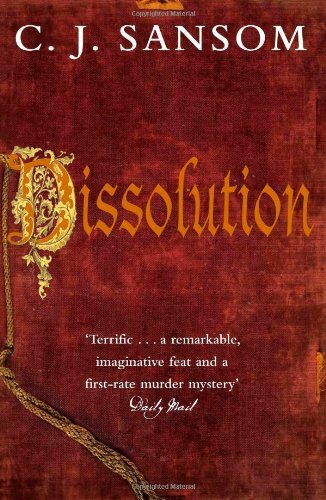 Synopsis: Matthew Shardlake is commissioner to Cromwell during the dissolution of the monasteries. He is sent by Cromwell to investigate the death of a previous commissioner at a monastery in Scarnsea. When he arrives it seems that quite a number of monks are potentially guilty and Shardlake has to walk a difficult path to get to the truth. Tudor history is one of my favourite eras to read about and I love a good detective story so this seemed to tick all the boxes. The fact that it was set in a monastery and all the monks had some sin that they are trying to keep secret only added to the fun. When Shardlake is first sent to Scarnsea and we are introduced to the potential murderers, it seems that any number of people could have murdered the previous commissioner. Clues and red herrings rain down through the plot with an astonishing quickness and Shardlake is quickly out of his depth. When the bodies start to pile up and he starts to feel pressured, he begins to make dubious decisions and mistakes. The historical detail seems note perfect and I particularly enjoyed the various descriptions of Cromwell. The battle between traditional and new religion is well described and Shardlake is as uncompromising in his views about the new ways as the traditionalists were about theirs. Ultimately (like In The Name of the Rose) this is a story about knowledge and power and who should be allowed to have it. I did find Shardlake to be an irritating narrator. I’m sure this was intentional but his peevish voice started to grate by the time I got to the end. This, and the fact that I worked out who the murderers were (although not why) before the end, were the reasons for this not being a 5/5 read. Other than that, it was a very enjoyable mixture of historical fact, political intrigue and detective story. Hi, I hope you don’t mind this intrusion, but a book that I am currently spreading the word about has attracted a lot of interest from CJ Sansom fans, so it seemed to make sense to mention it. St Bartholomew’s Man, by Mary Delorme. If I am right, let me know and I will happily email you a copy and of course am happy to reciprocate in an Amazon review kind of way, if that helps.